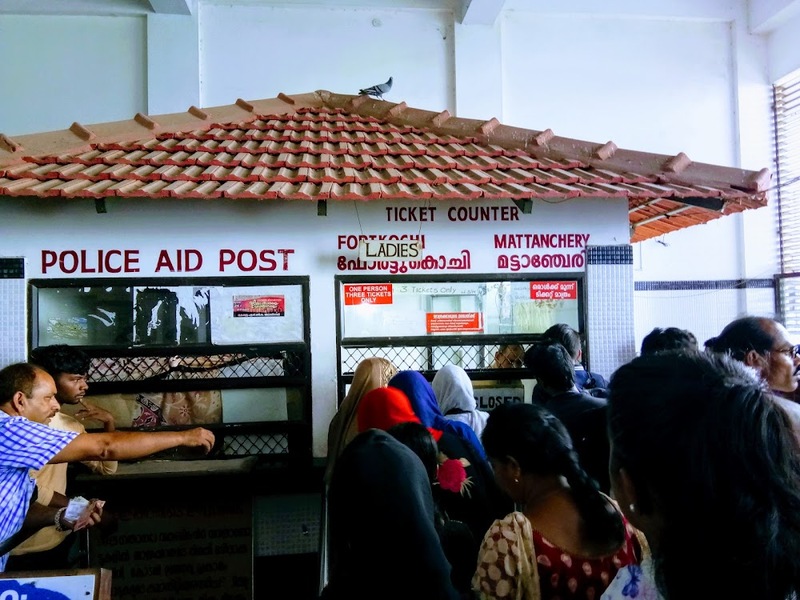 It turned out that the proper Ernakulam station is located four kilometers away, just beside the tourist Kochi. After finding the hotel it was already evening so we went to find something to eat. The city at night as I know is colorful and full of life. After a walk trough the main road we found a restaurant where we bought kebab and roasted chicken which was delicious. The next day we went to the real Ernakulam, and the biggest attraction – both for us and children – was the boat trip. To get to the Marine Drive, the city’s port we got into the rickshaw. We had a private guide – the manager of our hotel, who took his honor to show us the region and even set himself a goal to persuade us to settle here. In the picture we stand in line for the ticket. There is a separate queue for ladies, always shorter. Ticket price – 4 rs! The trip was great but short. Kochi includes several islands and the ferry serves for quick communication between them as a good alternative to cars or scooters. The two largest islands – Willington Island and Mattancherry are the main tourist attractions of Kochi. Kerala has an exceptionally large network of churches – we were not very interested in this kind, but we wanted to see the Jewish synagogue from the XVI century. 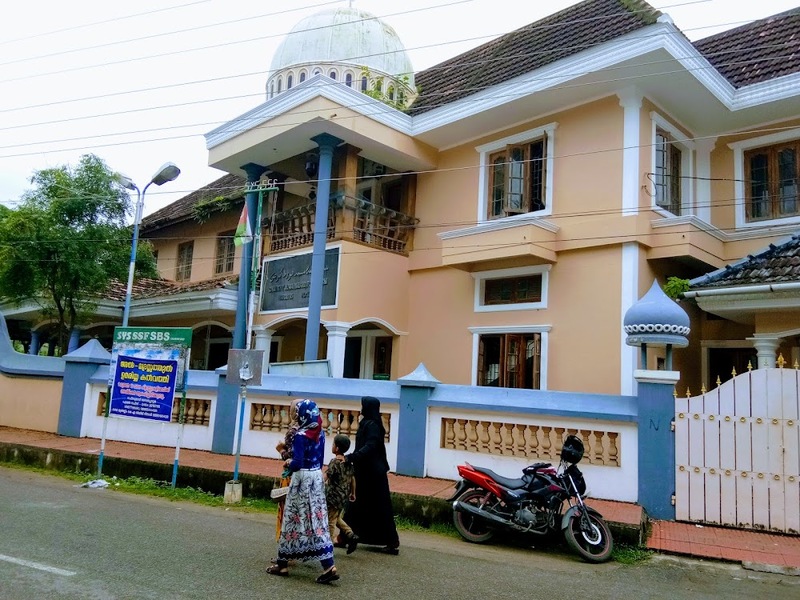 From that time, the Kochi region was inhabited by a large group of Jews and this temple was preserved in a very good condition – from the information we had read. Unfortunately available only four hours a day – from 10 am to 1 pm and 3 pm to 4pm. We missed that time. Similarly Jain temple, which we also wanted to see – the exact hours we don’t know, but if you want to look inside, you need to be there in the morning around 9 o’clock. Finally, we saw St.Francis Church and one of the mosque on the main street, which is not officially a tourist attraction. However, in the afternoon time, specific muslim chants were inviting the faithful to the service, which made the streets very specific. The main function of the tourist guide is not to present the attractions of the region, but to increase the demand for souvenirs which sales are the main source of income for the region. 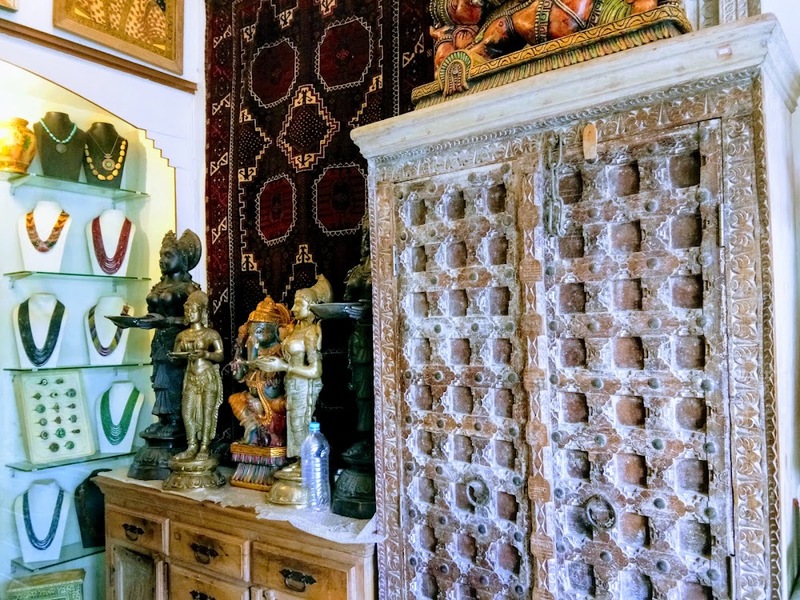 So we had visited a few shops in that area, one of which offered a lot of colorful exotic looking, supposedly ancient attractions. The carved doors actually made an impression, though not very old, barely 100 years old. Colorful figurines, however, could only equip children’s room if they were sold at a more affordable price. Likewise, there were good quality gemstones, which value raised the deadly seriousness of the seller presenting them. 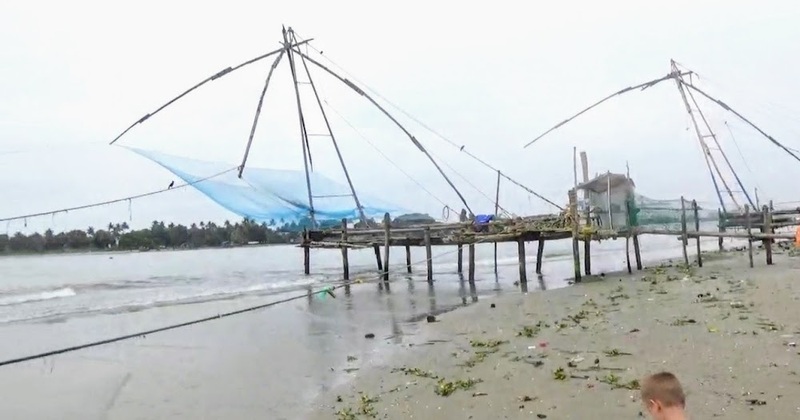 We saw the Chinese Fishnet, a Chinese-style fishing net that is very specific in Kochi. So we can see how intercultural is Kerala… there are also red flags with sickle and hammer everywhere, because the system working in this state is communism! We visited a saree shop where me and my father had made a research and video. They showed us the types of material used to make shawls. And told us about kashmir which is a material not a state although it is made there. In the meantime our guide showed us a place to take lunch but we didn’t eat lunch, we ate in the evening. There we took some snacks like french fries. There was also a place for children to play and a view on the ocean. This few days in Kerala gave us a lot of information, it is a state where all three religions get well together. The thing we didn’t see there which is a big disappointment are Backwaters.